The last inspiration post was a cemetery in distant Berlin. Today’s inspiration is also a cemetery, but one a bit closer to home. Arno’s Vale, in Totterdown, Bristol. Arno’s Vale today is a beautiful wooded spot: but it was never intended to look quite like this. 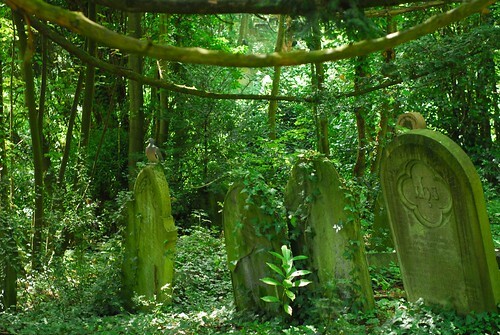 It was designed as a garden cemetery, a carefully-manicured hillside opened in 1839, the same year as Highgate Cemetery and a few years after the pioneering Kensal Green Cemetery. Like Kensal Green, it was run as a commercial business; and it was very successful for many years. 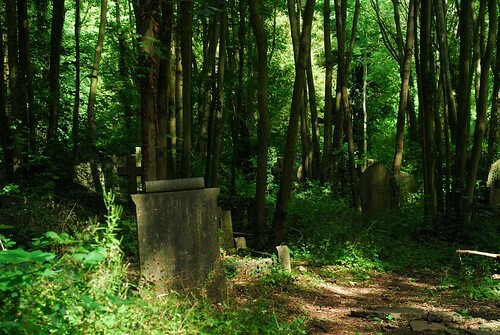 Unlike Kensal Green, Arno’s Vale started to run out of space in the 20th century; and as new burials fell, the viability of the cemetery as a business also started to fade. 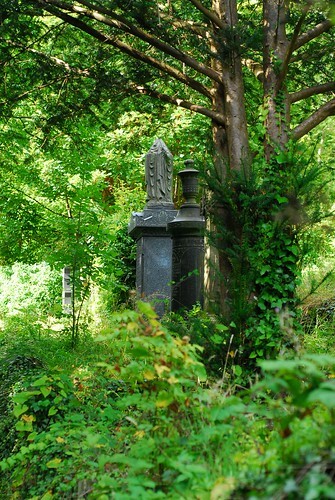 The cemetery management had to cut back on maintenance staff; and as they did so, trees and undergrowth started to take over. By the time the business finally went under, the cemetery was completely overgrown. In more recent years the cemetery was saved from both too much decay, and the threat of redevelopment, by a group of campaigners. It now is owned by the city council, but managed and maintained by a charitable trust with the help of many volunteers.